Grab your favorite 15 fat quarters and make some quick and easy cuts, sew them back together. Turning the blocks creates a secondary pattern in the white background. 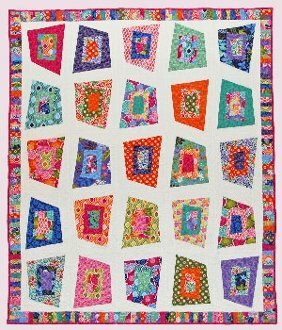 The border is cut in crazy little pieces which adds to the fun on this quilt.